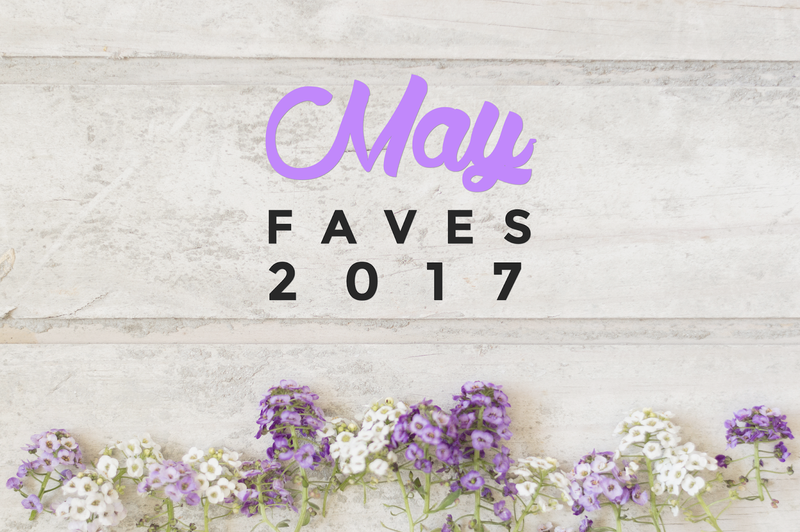 Another sets of faves for the month of May. May was bundled with purity, sweetness, and humility. None of us might ever have a perfect month however not every one of us can handle them with courage. This month was beautiful but rough, but I believe I dealt it with purity, sweetness, and humility, and besides that's really the meaning of May. 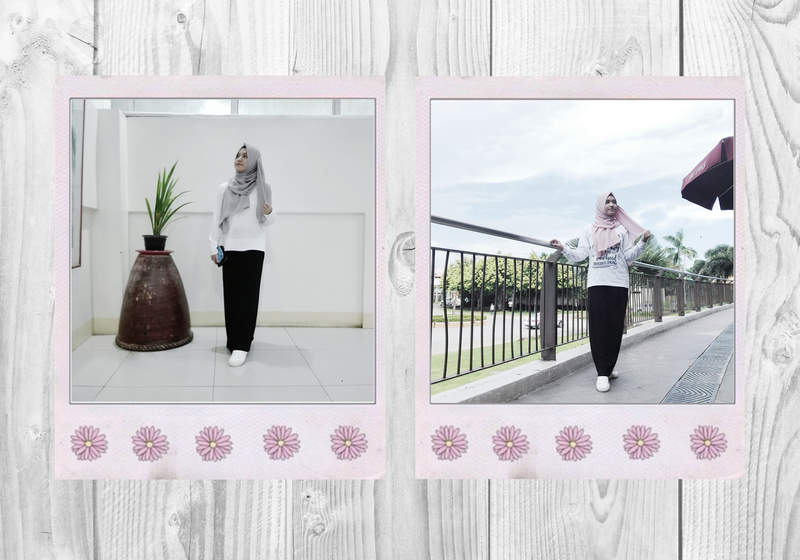 I love wearing my Cotton On Black Skirt so I've also been loving matching it with white top. The cloth of this pullover is pure cotton which makes it comfy and fresh. I can move anyway I want to. In addition, I've also been loving my "Binding Diversity through Tawheed" pullover from MSA because the cloth is just perfect and loose to my skin. Plus, it's white so. Since Maybelline never disappoints me, here's another local drugstore Maybelline product for my monthly faves. I love the coverage of this CC Stick and makes my skin brighter. It is also dry so it's perfect for my oily skin and humid summer weather, and it lasts all day. I spent most of my May days in Davao. Finding a halal food business is quite challenging since people in Davao are mostly non-muslim. So we only trust food businesses that has Middle Eastean cuisines and pure beef/chicken meals. We don't have Leylam Shawarma here in Zamboanga City, so being able to taste their type of shawarma was exciting (you know, I'm nosy). I loved it, we often buy a couple before we leave a mall. Into conclusion, Zamboanga City's shawarmas are better. This is an ongoing series and I first watched this drama because Kim So Hyun is part of the main characters. But after I watched the firsts episodes, I fell in love with the series because it has an interesting plot which is full of love, sacrifice, and bravery. At some point, it reminds me of Scarlet Heart: Ryeo which gave me a shattered heart in the end. I hope this won't give me a broken heart at the end of the series. I know, I didn't get to watch this in the cinema. But now I already watched it, and damn it was good. One of my childhood dreams is to be an astronaut or at least work with NASA so this movie was very close to my childhood because.. the main character was able to live in Mars for 16 years! Although there are major disadvantages, the end of the movie was satisfying. Behind this channel is Aileen Xu, she is a major positivity motivator and gives great advises on how you manage your life and reach your ultimate goals. I highly respect her on how she actually have this positive perspective in mostly everything. I might not know her in person but I can guess that she's genuinely happy with her life through being grateful. With that, she generously share her ways and let other artists of life share their ways as well. So if you want to be inspired, check out her channel and listen to her podcasts. I've mentioned that I spent most of my May days in Davao, so I've decided to vlog bits of my days there. Then, I ended up editing a full 20 minutes vlog which I think is a bit too long for my blog audience. So I decided to cut it down and edit a much shorter one for you to enjoy. I've done so much in Davao. I got to hang out with my highschool friends, Maeidah and Zakey. Honestly, I've noticed how much they've grown but somehow I felt the high school comfort when I was with them so I pretty much enjoyed our time together. And for sure, that wouldn't be the last time we see each other, I'm going back soon. I also got to meet one of my favorite PH bloggers, Kryz Uy of ThirstyThought, I bought her book that day and luckily got her autograph. More to that on my review of her book which will be published next next week, stay tuned. I also tried out different food and cafes which I enjoyed the most (you know, I'm nosy). They've got huge amount of cafes, bakeries, and restaurants that I wanted to try, however I only got limited time to be able to try them all. I mean, how can I, every street has new ones. Maybe, next year? Davao Diary is now live on my channel. I'm not a YouTuber, I'm just a content creator so I decided to share bits of my stay in Davao City. Enjoy. Me too! The arab heart inside me warms whenever I eat middle eastean food.